It supports to use both AC 100v and AC 240V. Plug DC jack plug of the adapter into Wii u console. Connect your Wii u console with HDMI, IR sensor. bar and TV. Turn on the TV and Wii U console. Make sure to Plug DC jack plug of the adapter into Wii U console in the right way. 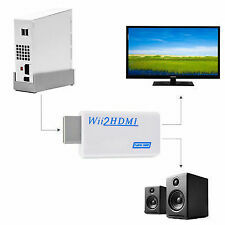 A good converter for the Wii console, outputs video and audio in full digital HDMI 720p or 1080p format. Built-in button to adjust resolution 720P or 1080p. HDCP compliant. 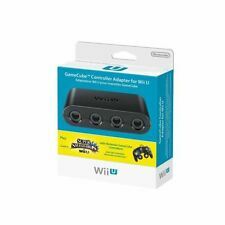 Convert your Nintendo Wii to an HDMI compatible device with 3.5mm Audio. Replace the old or broken power adapter. Plug Type: UK. 1 Power Adapter. Adapter Size: 13.5 5.5 4cm / 5.3 2.2 1.6in. 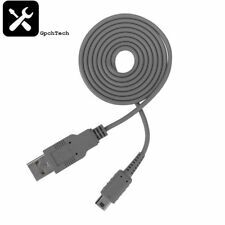 1 x Wii U USB Charging Cable. 6 MONTH WARRANTY INCLUDED | TRUSTED EBAY POWER SELLER! 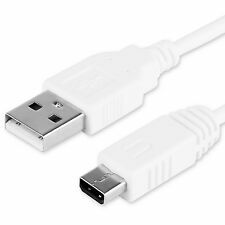 OFFICIAL GENUINE NINTENDO WII AV CABLE RCA COMPOSITE TV LEAD. Condition is Used. Dispatched with Royal Mail 2nd Class. It supports to use both AC 100v and AC 240V. Plug DC jack plug of the adapter into Wii u console. Make sure to Plug DC jack plug of the adapter into Wii U console in the right way. Connect your Wii u console with HDMI, IR sensor. Used item working in very good clean condition. Compatible with both Wii and Wii U consoles. High transmission rate, superior picture quality. Compatible with both Wii and Wii U consoles. 3rd party product, not an official Nintendo item. This does not affect your statutory rights. NEW WII TO HDMI CONVERTER FOR WII CONSOLE. Supports all Wii display modes (NTSC 480i 480p, PAL 576i). Model ---Suitable for Wii. FOR WII CONSOLE. NO POWER REQUIRED PLUG & PLAY. Provide best service. NINTENDO WII. Model Number: RVL-002 (EUR). 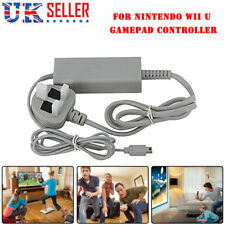 This item has a EU Plug, you will need an adapter to use in the UK. Connections: For Wii AV Plug to Component Pr / Pb, L Channel, R Channel (Male). 1 x Wii Component AV cable. Compatible with both Wii and Wii U consoles. This is a not an official Nintendo product, this is a 3rd party cable. 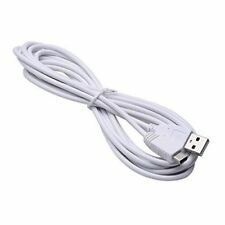 High quality 3rd party Wii AV Cable for Nintendo Wii & Wii U. 1 x Nintendo Wii AV cable. Compatible with both Wii and Wii U console. Gold-plated high speed RCA jacks. 3rd party product, not an official Nintendo item. 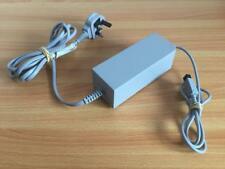 Official Nintendo Wii Power Supply - UK / PAL Version. Condition is Used. Dispatched with Royal Mail Signed For® 2nd Class. Connect a Wii console to a TV using a HDMI cable with this compact adapter. 3.5mm output socket allows wii to be connected to external sound system. Add to Favourites. The WiiDual outputs analog video and HDMI simultaneously. It can output 240p/480i/480p in all video modes. 240p/480i and can be line doubled to display 480p. The analog portion supports the following outputs: RGBS/RGBHV/RGsB/YPbPr. 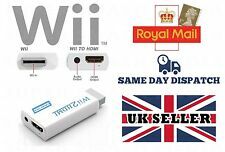 Wii2HDMI, a great mini converter for the Wii console, outputs video and audio in full digital HDMI 480p format and supports all Wii display modes (NTSC 480i 480p, PAL 576i). Our converter, it does not do the resolution conversion. This is in good condition and fully working order. Compatible with Nintendo WII / WII U. Good CLEAN USED Working condition. Our cable features a composite video & stereo audio out connection via standard phono RCA plugs and are suitable for most TV sets. Connects simply and easily between your Nintendo Wii and TV and requires no tuning - just select the correct AV channel and switch on. (Cable Is In Good Condition. Happy Buying :). THE WII LAN ADAPTER (ETHERNET ) ALLOWS YOU TO CONNECT YOUR WII CONSOLE DIRECTLY TO A WIRED HIGH SPEED LOCAL AREA NETWORK (LAN) ENABLING YOU TO ENJOY A WIDE VARIETY OF ONLINE FEATURES ON YOUR WII CONSOLE. This is a used item but is fully working order and great condition. 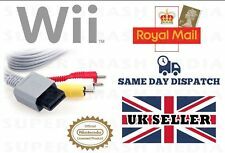 OFFICIAL Nintendo Wii Power Supply | UK Plug Brick Unit AC Mains PSU | RVL-002. Condition used. This adapter converts your Nunchuk into a fully remote fob. Play wirelessly freely. It can be used by both right and left handed. Nunchuk NO INCLUDED. Also can be used as support for Nunchuk. Nunchuk NO INCLUDED. Very good condition, full working order. Clean overall. Full digital HDMI 720p or 1080p format and supports all Wii display modes (NTSC. 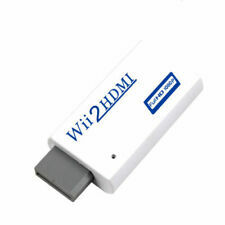 Wii2HDMI, a great mini converter for the Wii console, outputs video and audio in.  We can not ensure that all of the wii and display device can support 1080P. ). Nintendo Wii Composite RCA Audio/Video Cable AV Lead - Used, Tested, Official!